Only 3 hours from Brisbane is a unique paradise ready to be explored – the Solomon Islands! Sitting in the same timezone as Australian Daylight Savings Time it is a great spot to take your family for an overseas trip without jet lag, long flights or over the top commercialism. The Solomon Islands is on the brink of exploding with tourism so now is the perfect time to explore this virtually untouched paradise with your family. Here are my top 5 things to do in the Solomons with kids. Whether your kids have always wanted to snorkel, swim in the clearest waters you will ever see in your life, explore coral or try stand up paddle boarding, surfing, water skiing or wakeboarding, the Solomon Islands has it. On top of that, if they are older kids, they can try scuba diving and see wrecks, sharks, corals and a variety of marine life. The best thing is, your kids don’t need to know how to do any of this before you go. They (and you) can learn in a safe environment with staff who are passionate about showing their island life with you. 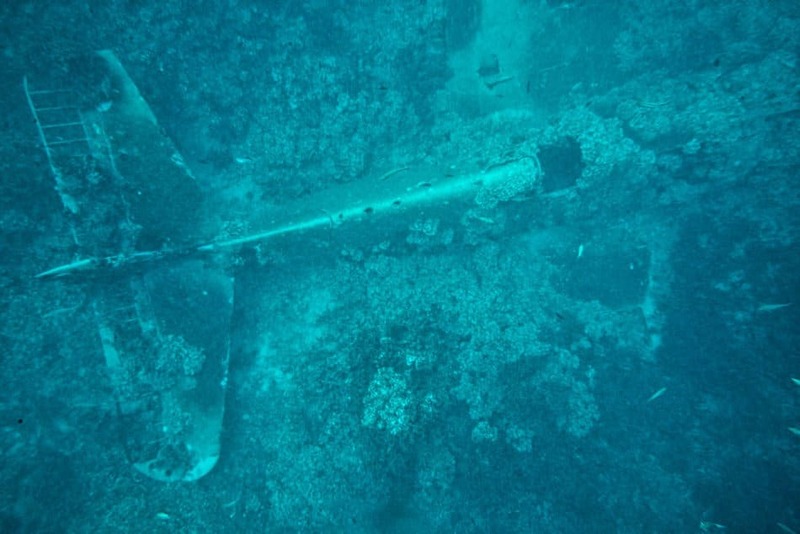 The Solomon Islands is home to numerous shipwrecks and other remnants from World War II. If your kids have ever wanted to get up close and personal with them, this is the place to do it. You can see them clearly through the water in numerous locations. Alternatively, Roderick Bay has an entire cruise ship wrecked off it’s shoreline. MS World Explorer was a German cruise ship which crashed there and has been left for years. The gorgeous residents of Roderick Island have made the most of it with the kids using it to swing off, have a zipline from the ship to the trees and they climb all over it. This was the place that made me fall in love with the Solomons. Seeing the kids being so happy and free, playing in the water and how accepting the villagers were of everything in life. Plus, they gave an incredible cultural performance. We travel to learn and grow. Each island in the Solomons is slightly different. While Honiara and other places are more Westernised, you still get a feel for how life is in developing countries. Further out in the outer islands you can have a true taste of Melanesian culture. On my trip, we visited a variety of islands, saw cultural performances with singing, dancing and music. Everywhere we stopped, villagers would canoe out, sometimes entire families in a canoe, to our boat. The crew and the MV Taka were well known in the areas and bought from the villagers. At Mane Bay we got to swim, talk, and learn more about life there in the islands. 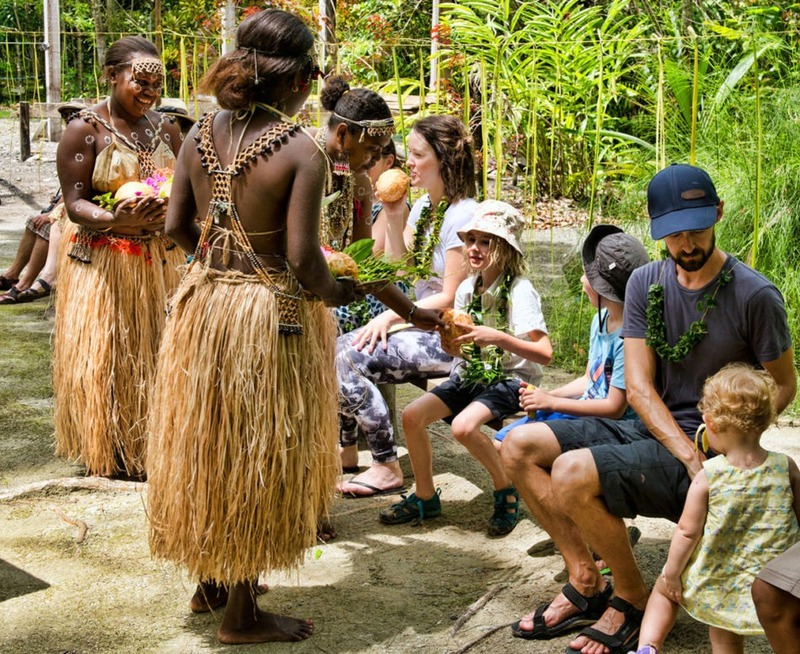 To truly have your kids experience another culture and see how they live not only in the past but also now, the Solomon Islands is the perfect spot. Clown fish, sharks, manta rays, dolphins, corals, shipwrecks, clams, sea urchins, starfish, the list goes on! How excited would your kids be to snorkel right up to Nemo? While cruising through different areas we had dolphins swim over and ride next to us, whales swam past, manta rays glided in the water and sharks circled at night. They’re reef sharks, so not dangerous. In one week I ticked off more on my bucket list than I thought possible with the amount of wildlife I got to see and get close to. They were wild and free, not trained to do certain things or entertain tourists. The Solomon Islands isn’t the tourist hot spot Fiji is (although it should be) so it is a more natural experience. Not only the cultural history of the amazing tribes and islands in the Solomons but also WWII history. Japanese u caves, shipwrecks, lookouts, bombs and various sites and remnants are all over the Solomons. Visit Hill 281, see caves, places people hid, bombs that were dropped, planes and ships under the ocean and have your kids not only learn about history from books but see it with their own eyes. While I was only there for the week, the Solomon Islands quickly became my favourite destination and one my children want to visit over and over. You can find specifics on my trip and why I loved it so much here and here. I did a cruise with Solomon Island Discovery Cruises to go to a few destinations and everything was taken care of. All of the above and more. 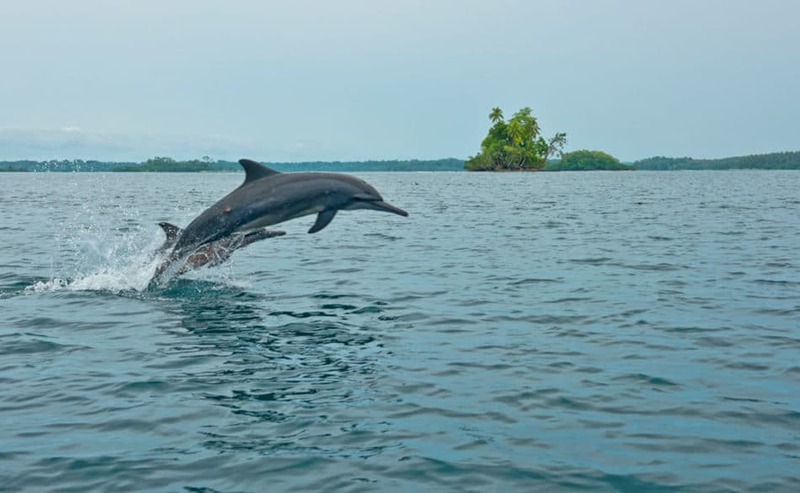 If you want to plan your own trip, check out Tourism Solomons. 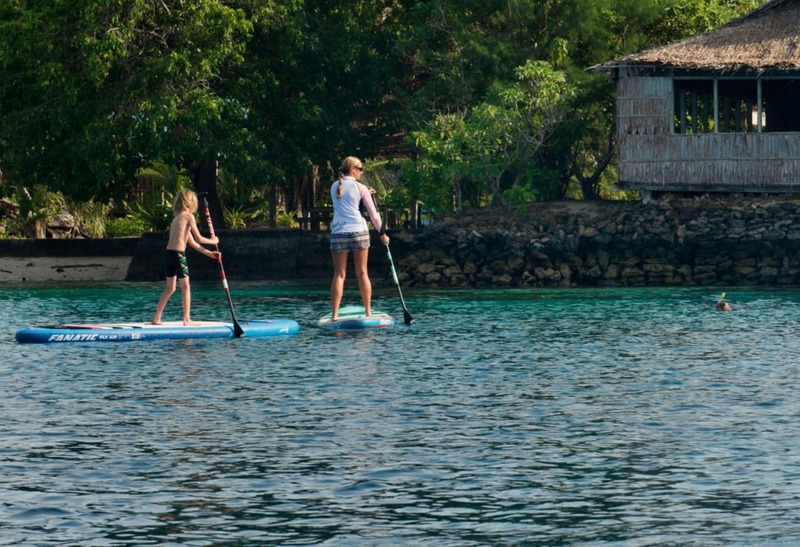 What would your kids most enjoy in the Solomons? All images are from Katrina Walsh Photography, a NSW based photographer. Kylie Travers is a travel and finance writer, speaker and marketing consultant based in Melbourne with her two daughters. You can find out more about her at www.kylietravers.com.au or check out ways to make and save money at www.thethriftyissue.com.au. Awww, thank you! I had the best time in Visit Solomon Islands with Solomon Islands Discovery Cruises! It is my favourite trip ever and definitely one everyone should take.